Granite countertops are the focal point of a beautiful kitchen but if you would prefer something else we can definitely help you out. Other options would include marble, quartz, limestone, and solid surface. Granite is by far the most popular option due to it’s long lasting appeal. 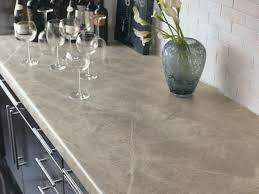 It is a natural stone, normally free from the problems of calcium-based etching, and is nearly impossible to scratch. It is also impervious to heat, and is, for the first time in history, very affordable. Granite is normally divided into 5 groups based on pricing tiers. There is no difference between the quality of granite between each tier. Rather the rarity, movement in the stone, and distance traveled to get to Utah determines which pricing tier it fits into. Group 1 is the most affordable and group 5 is the most costly. Mountain States Kitchen & Bath only uses grade A granite with book matching slabs so you get the very best that there is to offer. Also, we highly recommend you pick out your slabs personally so you know exactly what you are getting. Picking granite from a sample board is very risky because the colors can change dramatically from one slab to the next. Also, this is a good opportunity to put your cabinet door against the slab to verify that they will complement each-other. This is also a good time to pick out your sink and edge. All our countertops are templated in the home and then custom fabricated at our fabrication center prior to installation. Once your countertops are ready our skilled installers will deliver them to the home and begin installation which generally takes about half a day. Mountain States Kitchen & Bath highly discourages fabrication in a homeowners driveway. You should be wary of any company that does this. It is messy, not as accurate, takes much longer, and if you have a problem with your countertops you probably will never see your fabricator again.